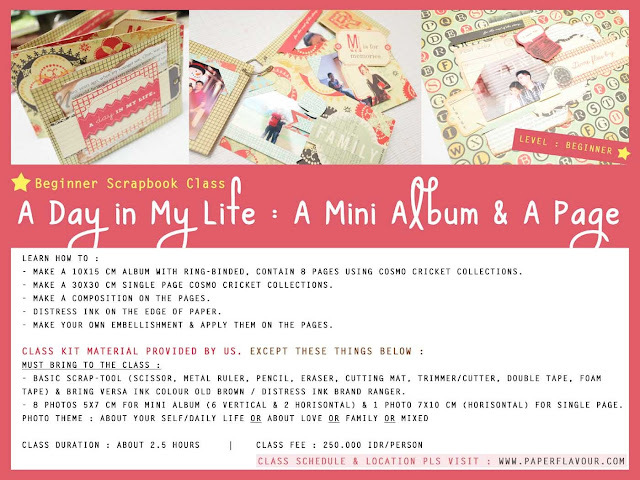 Here a new Scrapbook Classes for Beginner Level. What to make ? A Mini Album + A Single Page. Please read the details on the pic below. Thank you this class is SOLD OUT!